This one's a no-brainer. Throw this on over anything - including a berry dress, maybe? - and you're good to go. The length hits in that magical just-above-the-knee spot that flatters everyone, and the flowy collar details are super feminine. 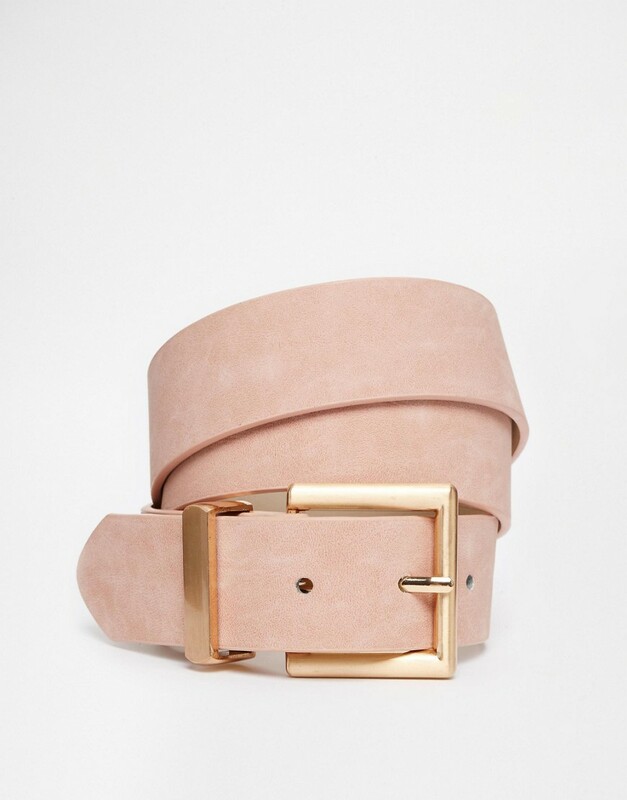 I love the idea of blush and rose gold, and this faux-leather belt mixes them beautifully in both texture and tone. Did I mention this can go at your hips as well as at your waist? Major score for versatility here! So I have a confession to make: I hate velvet. Hate it. I like the look of it, but I can't touch it. 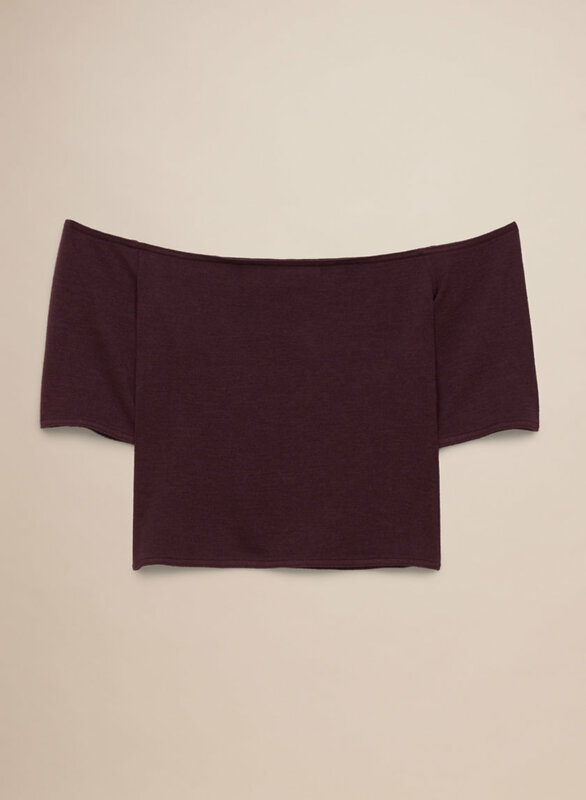 But I'll make an exception (maybe) for this top, because I'm actually obsessed. Cropped, blush, textured? I'm here for it. Gimme. This is another option to go with the Boohoo pants you'll see below. I promise they're there, just keep scrolling! 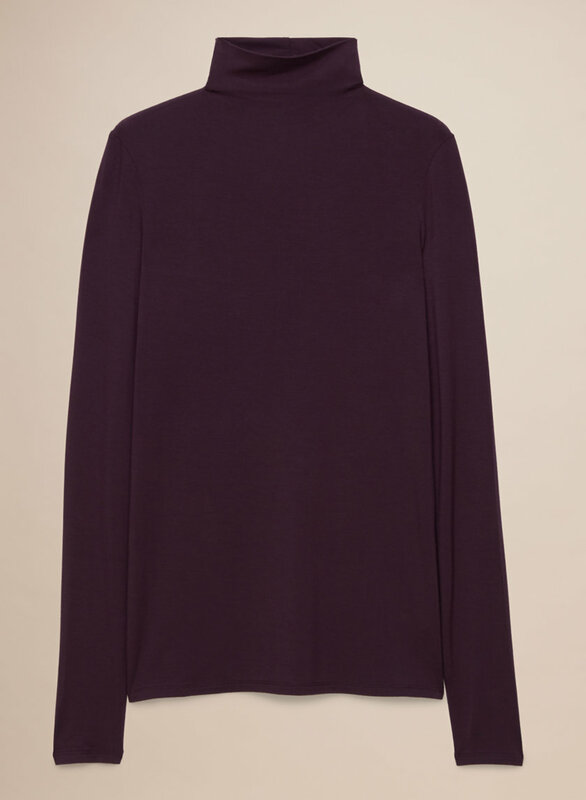 A little turtleneck, a nicely draped, thin fabric... so good! Last Aritzia pick, I promise. I feel like they just... get me... on an elemental level. I can't help myself. 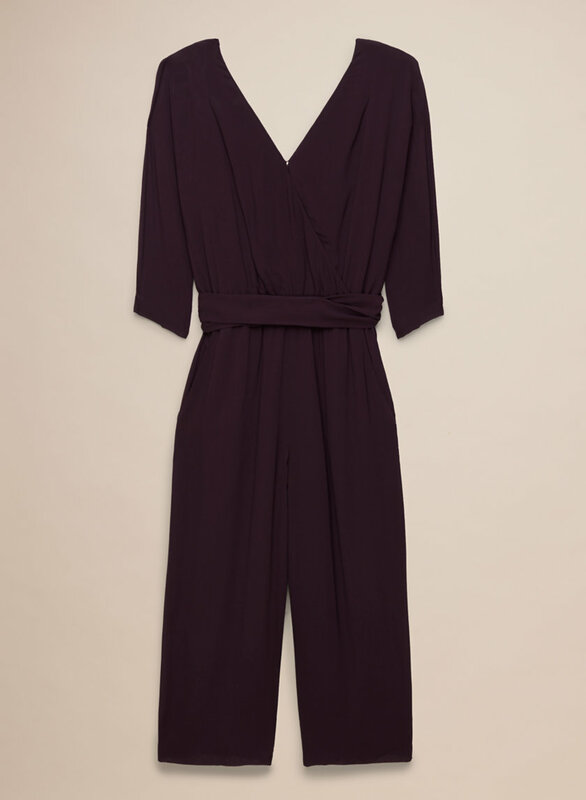 This wine jumpsuit would be perfect for fall, with some great heels, black leather jacket, and a blush bag. It's a bit more covered up than your typical jumpsuit, making it super seasonal. I think this could take you right through the holidays! Here they are! I told you they weren't imaginary. A lot of stores have been coming out with pants like this (I have a striped pair from Topshop!) and I'm not mad about it. Flood my market, shops. I'm serious. I can't get enough. They're flowy, drapey, kinda shiny, not clingy... just perfect. Damn, Chloe, back at it again with the L'Intervalle shoes. This Montreal brand has really got me, you guys. 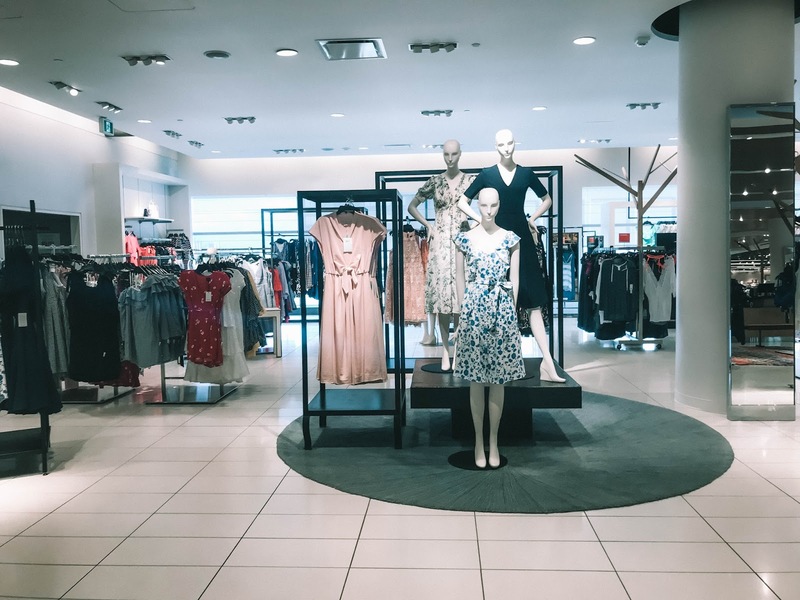 I stop by every time I'm at the Rideau Centre. And the fact that they're making these granny pumps (a style I LOVE) in a bajillion different colours right now is so tempting. 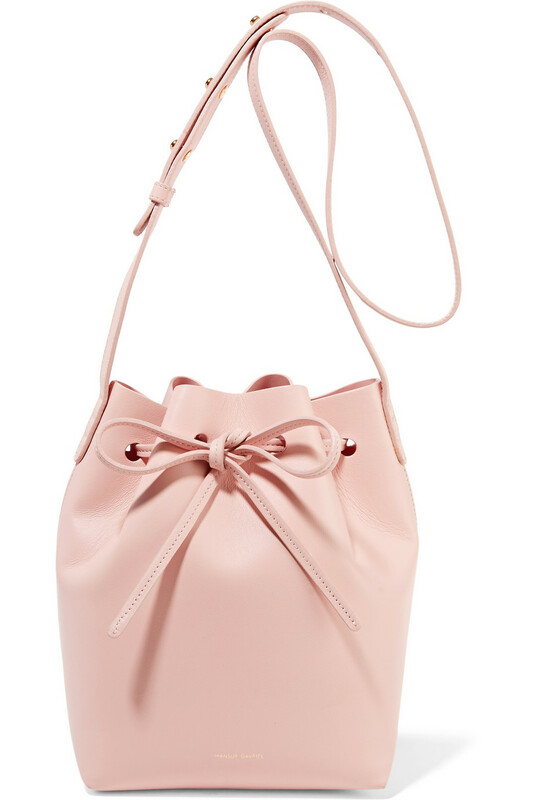 I have to admit, if Holt Renfrew had had this particular bag in stock when I went in August and ended up with my also-lovely Sophie Hulme bag, this would have ended up being the prize. I'm Mansur Gavriel's #1 fan, and am totally lemming after one of their mini buckets (since I already have a regular sized one!). I'd just prefer to buy in Canada to avoid the insanity of duty/import fees that I encountered with my first purchase via the MG site. I have no regrets about that bag, it was just way annoying. What are your thoughts on blush for fall? How would you wear it?